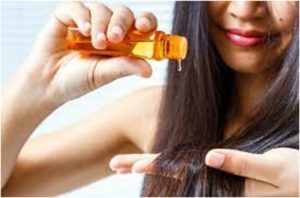 As we know benefits of hibiscus oil for hair growth, but many of us are not aware of the amazing benefits of hibiscus oil for skin, Yes! You heard it right. Hibiscus tree is seen in temperate, subtropical and tropical region. 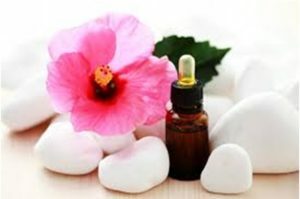 Applying hibiscus oil on the skin can give you many benefits and here we have penned those benefits in this story. Have a look! Hibiscus oil is a very beneficial oil to be used on, cuts, bruises, and wounds. It helps to cure them in no time and does not harm skin in any way and has no side-effects if applied on bruises or cuts directly. Hibiscus oil is rich in Vitamin C and A, both of these vitamins helps to nourish the skin and increases the recovery time. Also, Vitamin C is used on acne as well, as it helps in brighten and lighten the skin by fading the blemishes and acne. And this oil has anti-bacterial properties that promotes healing with no chances of getting infected. Hibiscus benefits are many and one of the most amazing benefits of hibiscus is that it helps to make you look younger. Using hibiscus oil on the face and body provides Vitamins like A and C and the antioxidants present in the hibiscus oil increases the elasticity of the skin, makes the skin bright and glowy and reverses the damage caused by harmful UV rays, dust, diseases, pollutants etc. Using the oil regularly can surely bring a big difference on the skin by reducing the wrinkles and fine lines. 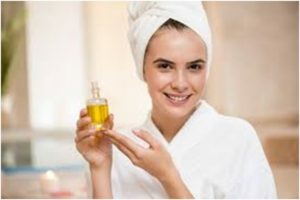 You can also mix the oil with your regular moisturizer to makes the efficacy boost, and it can be used as the last step of your skincare routine, that will tone and moisturize the skin perfectly. Also, there are some benefits of hibiscus oil that helps to cure really harmful diseases like, cancer and tumor. As hibiscus oil is rich in anti-oxidants, it helps to prevent cancer which is even proven in studies. And another study proves this oil to be helpful to prevent tumor formation in the body. Hibiscus oil contains Alpha Hydroxy Acids also known as AHA, which helps in exfoliation of the skin. It contains the natural acids that help to nourish and exfoliate the skin. Also, applying hibiscus oil on any part of the body sheds the dead skin cells and works as a scrub to that area. If you want to make the scrub more effective just add hibiscus oil in your regular homemade scrub. Hibiscus flower contains surfactants also known as saponins that helps to cleanse the skin deeply in a natural way. The organic acids and natural saponins present in hibiscus oil promote cleansing and helps to shed the dead skin cells, making the skin deeply clean. Thus, hibiscus oil can be used a natural cleanser and can be applied directly to the skin. So, these were the 4 amazing hibiscus benefits for skin. Use it regularly on the skin and be ready to see amazing differences in a few days.